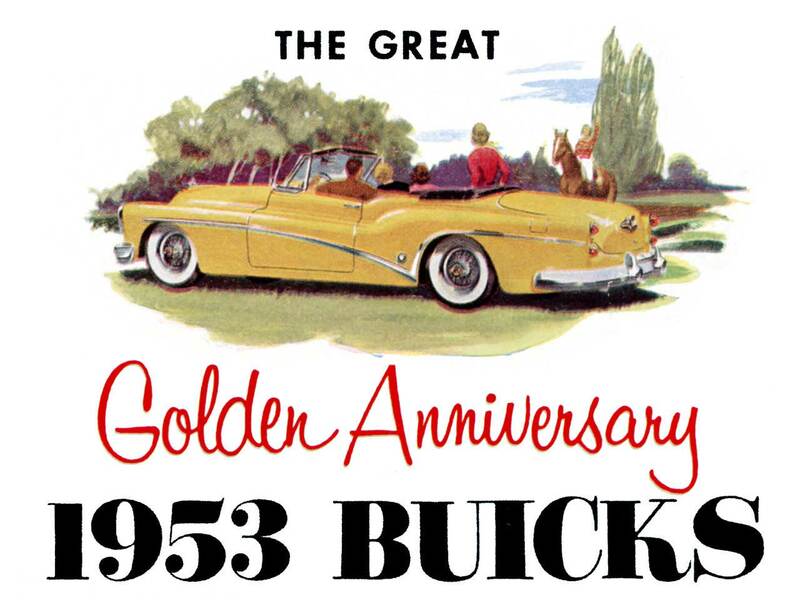 In 1953 Buick celebrated its 50th anniversary. 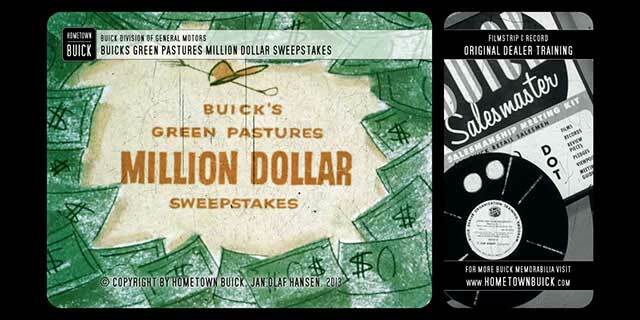 To celebrate this, Buick increased its media presence. 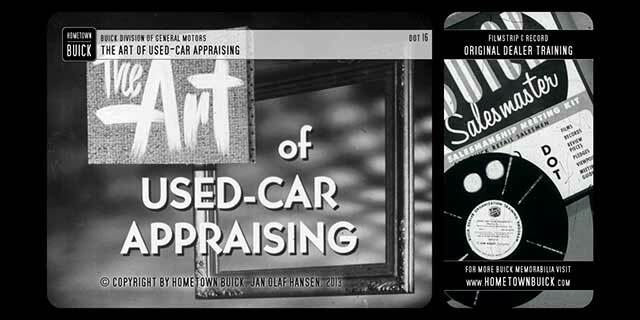 That’s why we have way more 1953 Buick videos in comparison to earlier years. 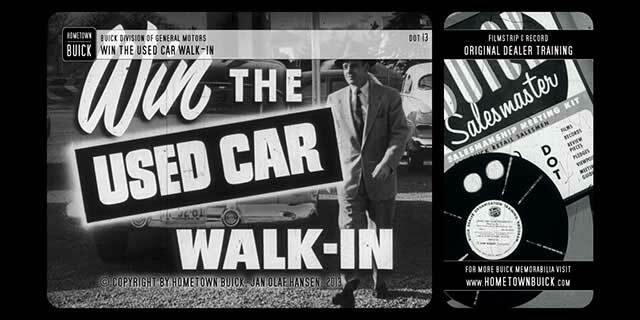 The Buick Dealer Training Organization was continued and provided several slidefilms as selling or repair aid. 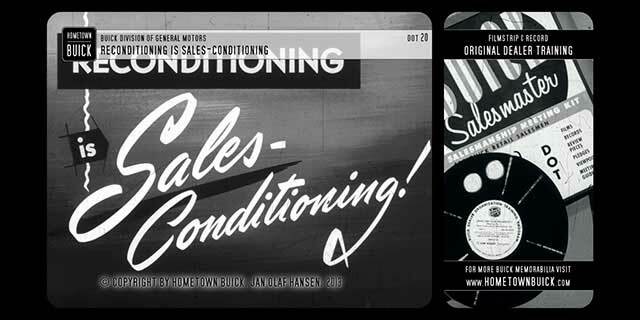 TV commercials were produced and published all over the US. But that’s not all: Buick started a sponsorship with comedian Milton Berle. The new show was called the’ Buick Berle Show’. You can see some of the episodes here. Buick appeared at the beginning of the show. Milton Berle drives a Buick to greet the audience. In the commercial brakes viewers saw Buick TV ads and customer talks. 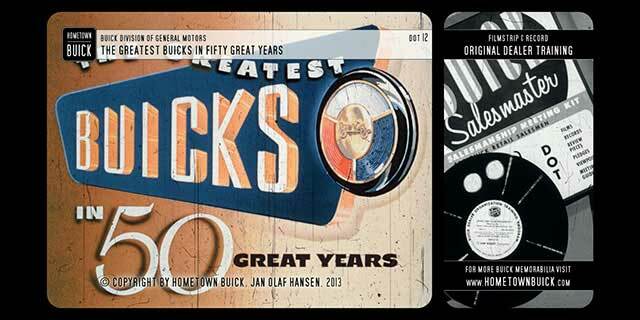 If you want to learn the biggest improvements and new features of the 53 Buick, you should watch the slidefilm ‘1953 Buick – The Greatest Buicks in 50 Great Years’!